8 March is International Women’s Day. A day to think about the freedoms women and men have. And about the question: if these freedoms are unequal, how come? If even relatively rich, well-educated women are less happy in life than men, how come? 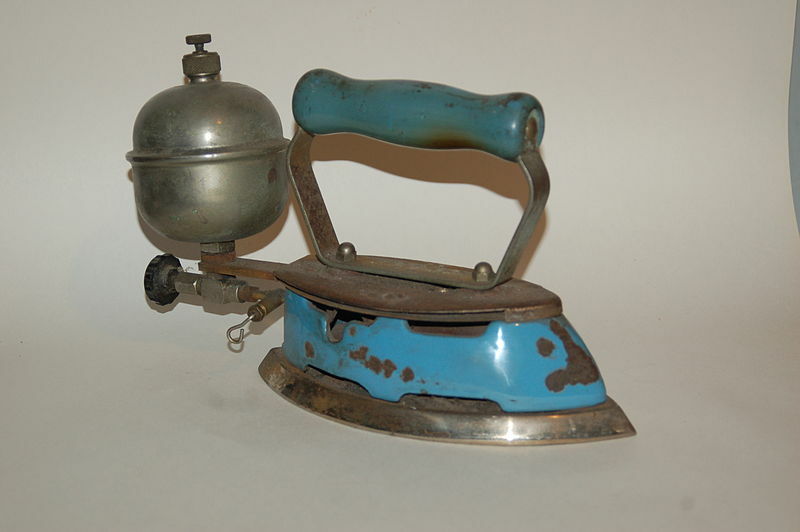 Photo of a Coleman’s gas-heated pressing iron from the 1930s, by Sobebunny, 2010. A small contribution to an answer and a solution appears in today’s issue of Dutch newspaper NRC Handelsblad, under the somewhat fanciful title ‘No More Dusting, Ironing or Hoovering’. An English reworking of this article is now on Historian at large as well.